Shuffleboard is taking the gaming scene by storm! 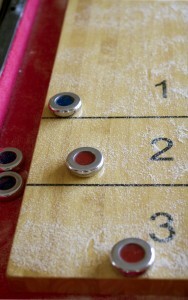 The “in home” version of Shuffleboard, which is most often associated with the outside version of the game, started as a phenomenon in the Midwest. As homeowners continued to look for in home/game room options which require less space than traditional billiards tables, manufacturers realized the true potential for Shuffleboard. At C.P. Dean, we are proud to offer quality Olhausen Shuffleboards for your game room, bar room and for businesses throughout Virginia… in sizes from 9′ to 24′. 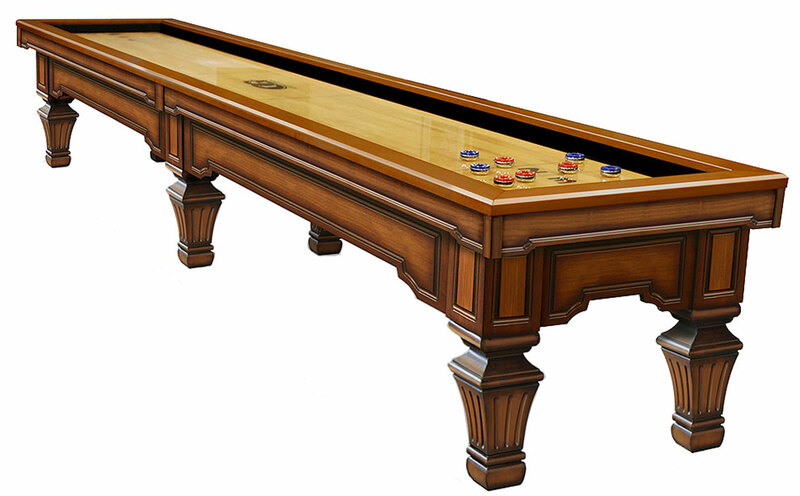 These days, quality manufacturers like Olhausen can custom match your Shuffleboard table and Pool Table, with the same colors, finishes and designs…giving your game room that consistent, classy look. As an added bonus on new Shuffleboard purchases, C.P. Dean is happy to apply your company or favorite team logo on the board at no additional charge, to give you that custom, personal look! Click here to check out some Olhausen Shuffleboard tables! If you are interested in learning more about the dimensions, rules, custom options or pricing for a Shuffleboard table for your home or business, by all means contact us at (804) 355-6588 or contact C.P. Dean online! We are proud to call ourselves the premier go-to source for Shuffleboard tables for sale in Virginia!